In attempt to transfer business into the web dimension any entrepreneur tries to find the best solutions which will help their enterprise prosper. Websites have become a must, a sort of brand identity for everyone. It is just something that your customers expect from you, and nobody wants to fail to meet their customers’ expectations as this would undoubtedly mean failure of the whole business. Another effective solution for businesses are mobile applications. 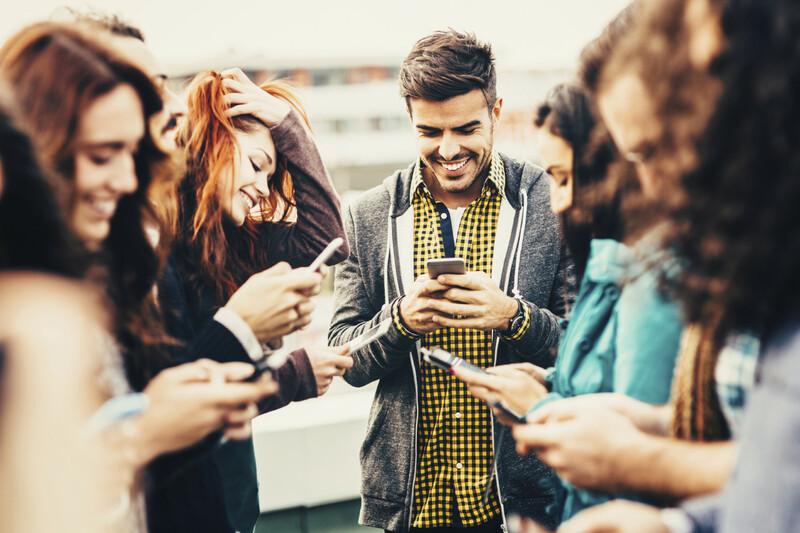 While being a handy extension of the website they can also bring you closer to the clients as most people today spend time online on their smartphones or tablets rather than desktops which is much more convenient working with apps. Making use of innovative approaches and technologies Mobilunity helps businesses get high quality yet budget-friendly websites and applications. In the case with the Bulldogs project we did exactly the same. 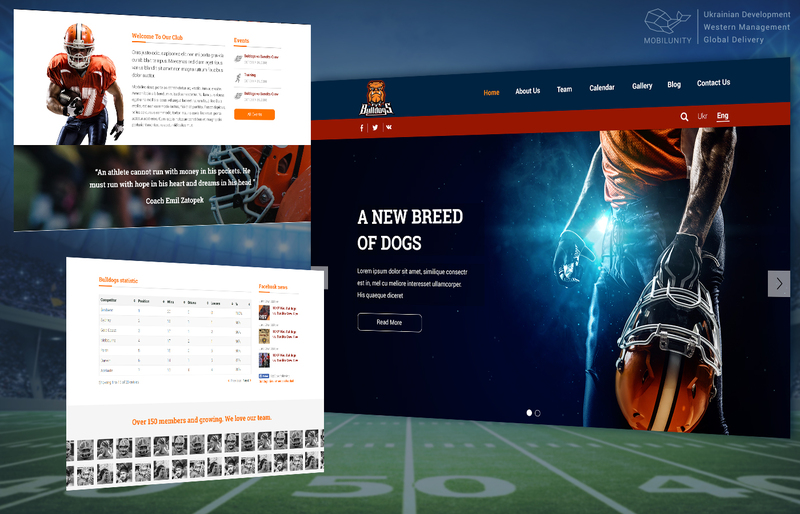 This project challenged us to create a sports mobile app and website for American football team located in Ukraine. Given that the targeted audience of the website was rather limited and it was aimed at the Bulldogs team and American football promotion, fields which do not get proper financial support in our country, the objective was to create informative, entertaining and low-cost app and website. The decision was to purchase a WordPress theme for website and get it customized by our front-end developer. As for the application, the obvious choice was mobile hybrid development – unlike native development for Android/iOS, the process of hybrid app development is less time-consuming and requires fewer resources both financial and human. One eventually gets an app which is compatible with multiple operating systems. Hybrid application development proved to be a good alternative to native Android and iOS due to many reasons. First, hybrid is cross-platform which means that less time and fewer specialists are needed to build an app that can function on various platforms at once, consequently, going hybrid is cheaper. In addition to that, this one and only universal code is much easier to maintain and update. The development of hybrid application was the best technical and business solution knowing the fact that American football is not highly financed in Ukraine due to its low popularity. So having one application that works on both most popular mobile operating platforms (Android and iOS) will help to attract more audience and will boost the prosperity of American football. The major challenge with the WordPress site development was localization. To translate the website into English we started with qTranslate X WordPress plugin. Though, it turned out to be ineffective afterwards, as the plugin underwent some updates and was no longer compatible with the WordPress theme of the website. Instead, we switched to the WPML WordPress plugin to ensure steady translation and content maintenance. The well-known drawback of hybrid apps unlike native ones is that they have no access to most of the capabilities of the device. There are a few ways to eliminate this problem. The first one is to use numerous Cordova Plugins. Apache Cordova is one of the best hybrid mobile app frameworks which is the number one technology when it comes to development of hybrid applications and can spare plenty of time and effort. Thus, we used Camera plugin so that users easily take pictures and selfies to decorate them with the Bulldogs icons. In addition to that, Splashscreen plugin was implemented to save time and resources. Besides, there was a problem with social network integration as VK plugin for social sharing was not provided. This was easily tackled as we used the Cordova plugin which enables the user to share content via native sharing widget of the device. Moreover, to accelerate the application development and to configure builds of the app, Android Studio was used – Android’s official integrated development environment which smoothes the process of app creation a lot. As far as small business is considered, development of functionally simple websites and convenient user-friendly mobile apps is needed and, given that the budget and time are limited, the best option is to create site using WordPress with its customizable themes and templates and opt for hybrid application development. If you want to promote your business and get more clients – build a website and a mobile app with Mobilunity!